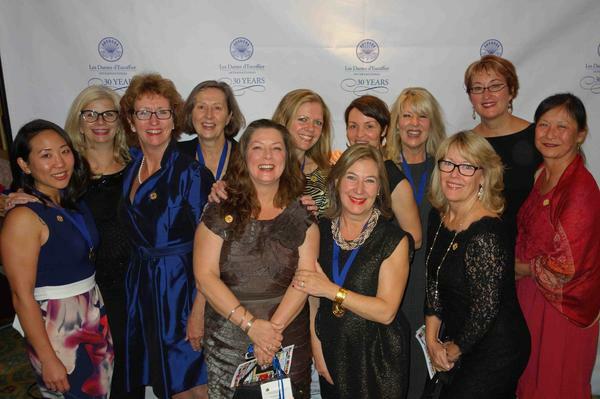 A FUNDRAISING INITIATIVE SUPPORTING FOOD AND BEVERAGE EDUCATION FOR WOMEN IN BC. 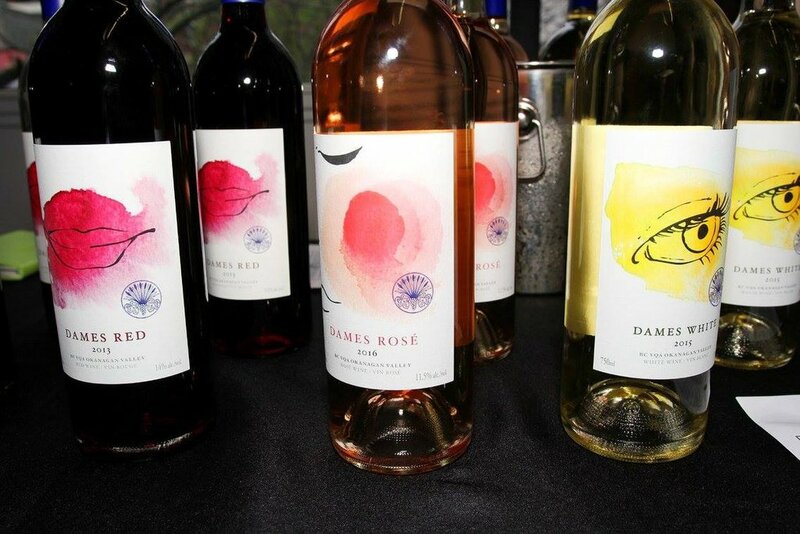 Each bottle of #dameswine supports food and beverage education for BC’s dynamic women. 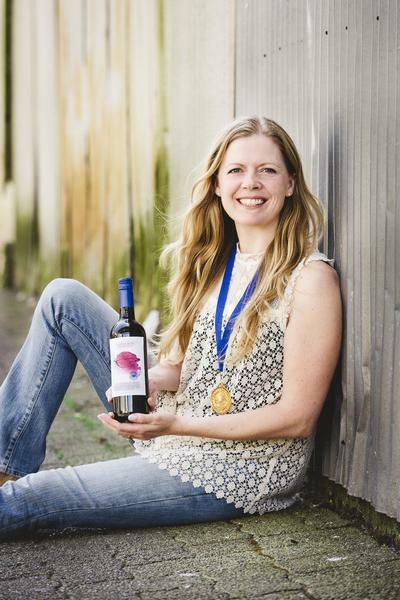 Limited production of three wines, a white, a red and a rosé sourced from vineyards in British Columbia’s beautiful Okanagan Valley, are available for online purchase and at select retail locations and restaurants. 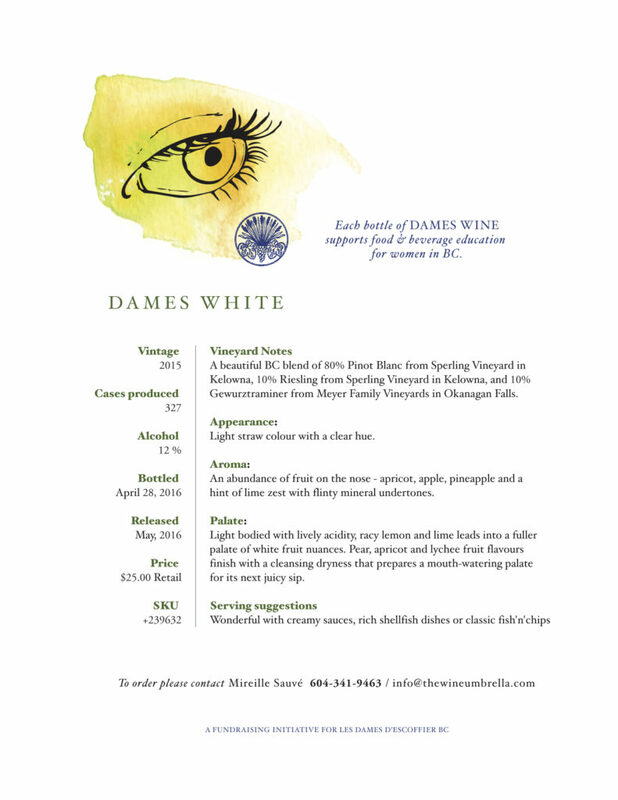 The Dames Wines were crafted by Mireille Sauvé in Okanagan Falls, BC. 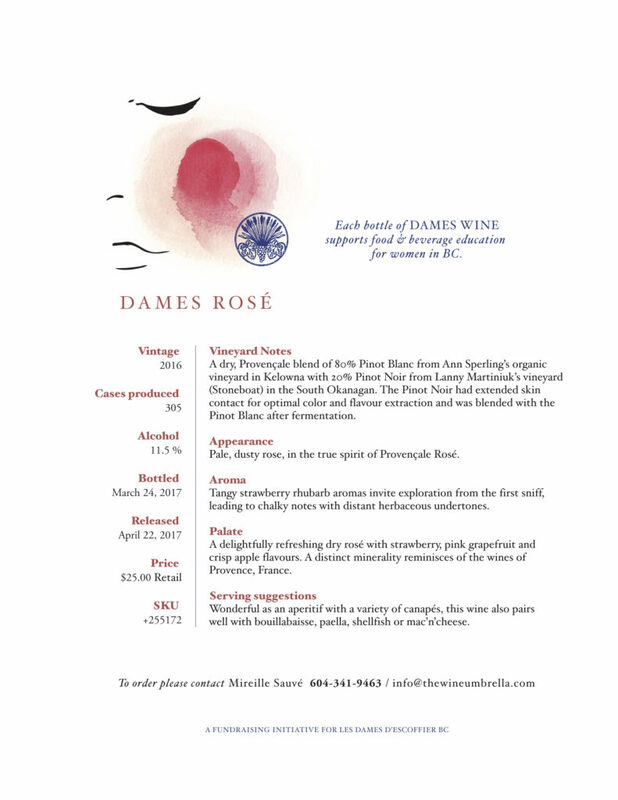 Our wines were crafted by Mireille Sauvé, director of the Wine Umbrella and member of the BC Chapter of Les Dames d'Escoffier. The grapes were grown in the Okanagan; 20% of the white from Ann Sperling’s vineyard in Kelowna, and the red from 100% organic vineyards. Both wines were crushed as a custom crush at Meyer Family Vineyards, and bottled with the help of many Dames and women supporting Dames. 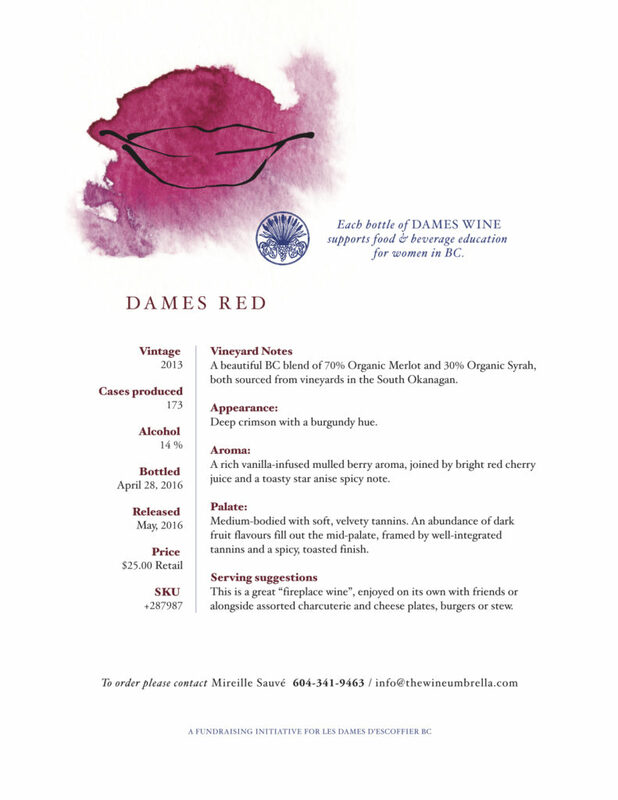 Proceeds from the sale of the #dameswine will support food and beverage education for women in BC. Note: Dames Red is Sold Out, new red coming soon.